Posse has been a rumored name. Not sure how I feel about that. I like The Dallas Dark Horses. A lot of D's in these name suggestions. I know that doesn't come off right. If we are going with alliteration. Dallas Dragons would be a great name, but i don't think they'll pick it unfortunately... Also Dallas Posse is something I could live with. 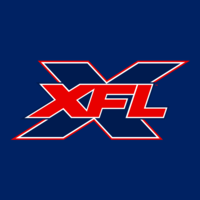 As fans, we keep suggesting USFL and old XFL names. NFL Europe names get kind of forgotten. Oliver Luck was president of that league. I don’t think we will see Fire, Thunder or Galaxy but Dragons was one of those names with Barcelona’s team. Dallas is a city always known as “Big D”. Dragons and Dinosaurs would kind of fit that motif. A lot of fans online like The Dallas Posse name. It could be cool as long as mature fans don’t make fun of it sounding like something else.